Jaw pain a can have many different causes, including traumatic facial injuries. Trauma can result in a variety of dental problems from a toothache to Temporomandibular Joint Disorder (TMD). But one of the most serious injuries that cause jaw pain is a broken jaw. A broken jaw (or fractured mandible) is a surprisingly common injury to the face. Only the nose is broken more frequently, and a broken jaw is the 10th most commonly fractured bone in the entire body. Fractures generally result from direct force or trauma to the jawbone (mandible). Jaw fractures can be extremely dangerous and painful. At Forster Dental Centre we want you to know exactly what the symptoms of a broken jaw are, what to do if you think you have one, and how it will likely be treated. While it is possible to be unaware of a broken jaw, the signs and symptoms of a jawbone fracture normally develop immediately after obvious impact or trauma to the jaw. The most common symptom is jaw pain. 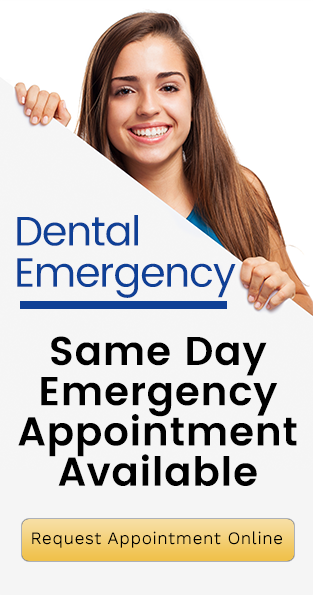 You may feel that your teeth do not fit together properly and may be unable to open your jaw completely, suffer difficulty chewing food or speaking, or notice swelling or displacement of the jaw. The chin or lower lip may become numb. Inside the mouth, bleeding or alteration of the normal lineup of teeth can be signs of a broken jaw. Bruising beneath the tongue or soreness due to a cut in the ear canal after backward movement of a fractured jawbone. Inability to close the mouth and drooling are also symptoms. Prevent choking. Allow any blood in the mouth to dribble out or have the person spit it into a handkerchief. Immobilize jaw. Do not attempt to realign the jaw yourself. Fashion a bandage out of a necktie, handkerchief, scarf, belt, or tie fixed around the jaw and over the top of the head to keep the jaw from moving. The bandage should be removable in case the victim begins to vomit. Control swelling. Gently apply cold compresses if swelling is evident. A physical examination includes inspection of your face for visible malformation, bruising, or swelling. It will also inspect the TMJ joint, and evaluate for nerve or vascular issues. The doctor will assess the movement of the jaw. You will be asked to perform a bite test, and the alignment of your teeth will be assessed. The doctor will check your jawbone for stability. The best screening film is a panoramic X-ray, which covers the entire jaw. If the initial X-rays are negative, a CT scan may be recommended if the doctor still believes the jaw is broken. Many jaw fractures are stable and only require wiring the upper and lower teeth together to allow healing. An oral and maxillofacial surgeon typically performs this procedure. More unstable fractures require surgery. Surgical methods using plates, wires, and/or fine screws are used to rejoin or keep bones in place. Aftercare is primarily eating foods (get a blender!) and managing pain. Eat soft or blended foods as directed. If your jaw is wired, your diet will be blended foods eaten through a straw or syringe. If your mouth is not wired shut, you may be told to eat only soft foods. Ask your health care provider about m the type of foods you can eat and how to prepare them safely. Apply ice. Apply an ice pack, or put crushed ice in a plastic bag for 15-20 minutes every hour or as directed. Do not apply ice directly to the skin. Clean your mouth 4 – 6 times each day. Your healthcare provider will give you instruction on how to do this. Do not play sports, risk contact, or put pressure on your jaw while it heals. The fractured jaw may bleed, bruise, or break again. Use OTC or prescribed painkillers. Because jaw fractures are most commonly the result of motor vehicle accidents and fights, the best prevention is to drive carefully, wear seatbelts, and avoid disputes. Athletes should wear custom-made mouthguards during all sporting activities.